There is one thing that any seasoned motorcyclist will tell you in regards to safety, get leather! Leather is used in racing suits, and, in the event of a fall, it won’t wear through. In other words, leather is the difference between picking up a few bruises, and grazing swaths of skin off. 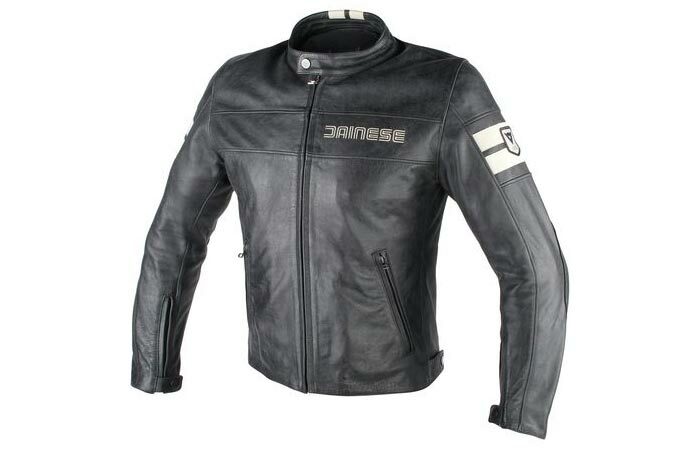 So, if you were looking for the perfect leather jacket, then the Dainese HF D1 Leather Jacket is a very good option! Tough, stylish, and designed with safety in mind, the D1 will have you cruising around in style. All the style, and zero of the worries. The D1 Jacket comes complete with full-grain vat dyed leather. This increases safety, while the cotton lining increases comfort. 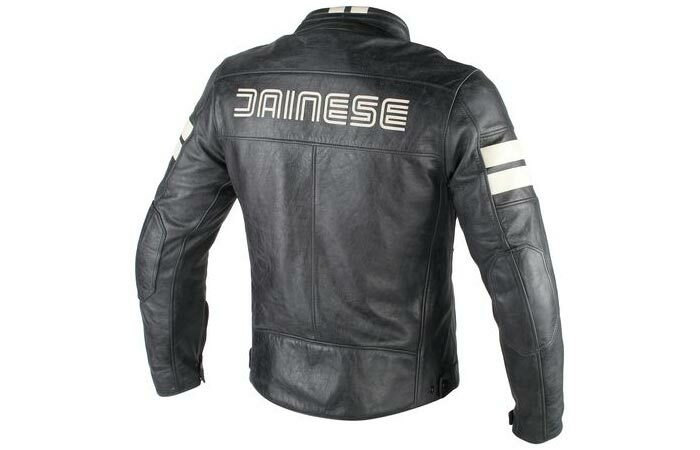 This jacket is produced with refined full-grain vintage leather that has been lined with cotton. It also comes with CE-Certified removable Pro-Armor soft protectors that can be found at the shoulders and the elbows. In addition to this, it also comes with one internal pocket, as well as two external pockets. It also features a neck adjustment, for the ultimate in comfort. Check out the video below. It also comes with two external pockets, one internal pocket, and neck adjustment. If you were getting leather pants, as well, the D1 features jacket-trousers connection loops, and hip adjustment. This drastically increases the ergonomics and comfort. It manages to do this by eliminating air filtration, and ensuring a proper fit for both garments. This jacket is also available in two different styles. Don’t forget to grab a helmet here. Get it from MotoSport here.